Sign Up To Our Newsletter. Ibanez SR300E SR Series Electric Bass Guitar Black Planet w/Stand, Tuner Πck. 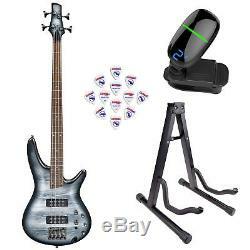 This bundle includes: (1)&###xA0;Ibanez SR300E SR Standard Series Electric Bass Guitar (Black Planet Metallic) (1) Front Row TU-01 Clip-on Chromatic Guitar Tuner (1) Front Row GS-01 Folding Metal Guitar Stand (1) Front Row Pick Sampler. The SR Standard Series SR300E from Ibanez is a modern electric bass featuring a mahogany body in a black planet metallic finish. Its bolt-on SR 5-piece maple/walnut neck is fitted with a 24-fret jatoba fingerboard which has white dot inlays. The solid double-cutaway body delivers maximum resonance and sustain, while the SR neck is smooth and fast, providing unlimited playability for the most demanding player. The PowerSpan Dual Coil pickups provide a tone rich in harmonic detail and dynamic expression. A 3-way power tap selector switch allows you to choose between a variety of humbucking and single-coil settings, while the 3-band active EQ provides. And cut over the treble, mid, and bass frequencies. Volume and balance controls can be used to further regulate the sound. Additionally, the SR300E is fitted with cosmo black hardware, including an Accu-cast B120 bridge, as well as a set of standard die-cast tuners on the headstock. Front Row tuner is designed to be easily seen on stage. With the intelligent robot formative design and bright. LCD, this tuner will definitely be a hit with the modern musician. 360-degree rotatable clip can adjust at your suitable angle, and is easy to clip onto your instrument. Operation makes it very simple to use. Fantastic music accessory with great accuracy, precision. Front Row guitar stand combines durability and stability. 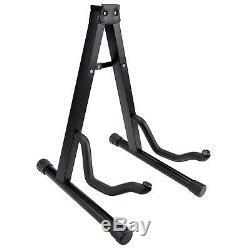 This A Framed universal guitar stand folds for easy storage or travel and is made from a lightweight and durable metal. The stand features soft, foam padding along the yoke and on the back and foam rests to protect your guitar from scratches. The non-slip rubber feet ensure stability on any bare-floor surface, plus protect floors from getting scuffed when moving or adjusting the stand. 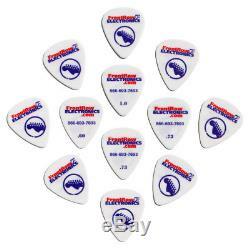 Front Row custom picks are highly durable with. Memory and depending on which gauge, just the right amount of flexibility. Whether you're playing electric leads or acoustic chords our pick sampler will provide you with the perfect pick. Comes in three different sizes. For over 30 years, Front Row Electronics has been dedicated to getting you the absolute highest quality products, and doing so with our renowned friendly customer service. We are proud to be an authorized dealer of every brand name we carry including Bose, Pioneer, Yamaha, Fender, Shure, QSC, Roland, Zoom and many more. Front Row Electronics promises to keep you, the customer, our primary concern! The professional customer service agents here will work with you step-by-step to solve any and all issues that may arise with your order. But don't take our word for it - read through any of our almost 28,000 positive reviews and be assured of complete shopping satisfaction with Front Row Electronics. We want to make your online shopping experience with us enjoyable and something you would wish to do again. This is why we make it our mission to seek out the most popular, cutting edge products for your entertainment, pro audio and business needs. For the best seats in the house, shop with Front Row Electronics! FrontRow proudly ships to our Armed Forces APO/FPO customers. It must be sent insured and by a traceable means e. When repacking the product box, avoid using duct tape or other adhesives that can leave a residue. Sometimes things get damaged en route, and if that happens, we want you to be covered. Please let us know how we can make yours a five-star rated one too! The item "Ibanez SR300E SR Series Electric Bass Guitar Black Planet withStand, Tuner Πck" is in sale since Tuesday, November 13, 2018. 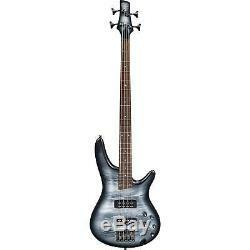 This item is in the category "Musical Instruments & Gear\Guitars & Basses\Bass Guitars". 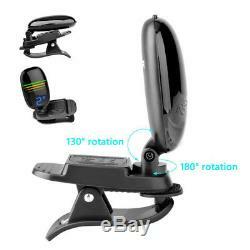 The seller is "frontrowelectronics" and is located in New York, New York. This item can be shipped to United States.